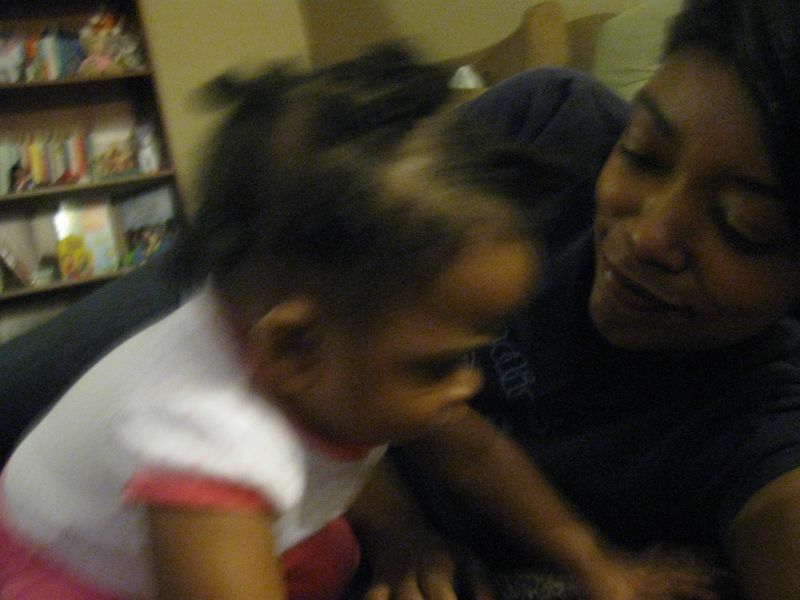 Sojourner Songs: A Mommy-Daughter Mixtape. In just over two months, you will be one year old. You are what I imagine you will be: preternaturally strong, exploratory (insomuch that you have made every square inch of our apartment your personal safari), and formidable (insomuch that I’m almost intimidated by the way you lean forward, stare me down, and growl at me when I scold you). To celebrate your upcoming voyage into newly broken ground, I am packing you a satchel full of things you’ll need to know and of things I hope you’ll come to love. I have written it before and I’ll repeat myself often: growing up a blackgirl in our country is a singular experience. It is, at times, an iridescent wonder; at other times, it’s an odyssey more treacherous than treasured. But thank our God that you were born to this lot; it is a lovely one. And in the event that a tempest tosses you off-course and you forget how magnificent our syndicate of sisters truly is, pull back the flap of leather that preserves these mementos of self-worth and remember, my love. Lena Horne is our royalty, our Glinda. Benevolent and achingly beautiful even dressed down in denim. She is the embodiment of elegance, and I like to believe we are all born with a measure of what was given to her in abundance. Tap in. You already love this. Perhaps when you’re a bit older, you will tell me what value you’ve found in it. I’ve found my own. We’ll compare notes then. I’m not a big Patti LaBelle fan, but even I can’t deny how far she dug her foot into this little ditty. For your part, when you heard this for the first time, you leaned in as you are wont to do when things are important to you, and you watched the Muppets shake gospel tambourines to what is, arguably, one of the most important songs you’ll ever learn. You always absorb the alphabet. Though you can’t yet recite it, you understand its potency, that from it, all the words of our everyday world are formed. And what better way to hear it than with flat-footed soul? Paul Simon is an incredible musician, but note how he’s nearly upstaged by the little girl beside him. This is the bold and expressive spirit I wish for you, the shoulder-shaking, full-lunged timbred, quick hand-clapping confidence of a girl who, at the young age of eight, has already found her space in the world. Okay, Mommy admits this doesn’t entirely belong here, on a playlist of beautiful colored women. But Savion is always a good idea. You’ll see. Leleti Khumalo is one of the most gorgeous women I’ve ever watched flit across a screen. As Sarafina, she is equal parts graceful rhythm and open defiance. Her performance is a cautionary tale about how close a young woman can come to losing her humanity in her fight for independence from injustice. Take note of this lesson and heed the position of the needle that guides your moral compass; it will serve you well. We’ve danced to this. It is a Ugandan love song and you must be able to sense how much I love it, because you’re always quiet for its entire run. It’s almost as if you understand the language. Perhaps, in your way, you do. This song was written in honor of the singer’s mother, who passed away when she was 12, one of millions of victims of the AIDS pandemic slowly ebbing away so many of the world’s black women. May a reversal of this devastation reach our world within your lifetime. I can’t watch any part of Brandy’s Cinderella with you without crying. It reminds me of how miraculous it is to have a daughter, to whom I can impart all the wonders of my girlhood, with whom I can finally share all the pixie dust I sprinkled alone as an only child.